We’d love your help. Let us know what’s wrong with this preview of Her Name Is Rose by Christine Breen. People used to say Iris Bowen was beautiful, what with the wild weave of her red hair, the high cheekbones, and the way she carried herself like a barefoot dancer through the streets of Ranelagh on the outskirts of Dublin city. But that was a lifetime ago. In a cottage in the west of Ireland, Iris--gardener and mother to an adopted daughter, Rose--is doing her best to carry People used to say Iris Bowen was beautiful, what with the wild weave of her red hair, the high cheekbones, and the way she carried herself like a barefoot dancer through the streets of Ranelagh on the outskirts of Dublin city. But that was a lifetime ago. In a cottage in the west of Ireland, Iris--gardener and mother to an adopted daughter, Rose--is doing her best to carry on after the death of her husband two years before. At the back of her mind is a promise she never intended to keep, until the day she gets a phone call from her doctor. Meanwhile, nineteen-year-old Rose is a brilliant violinist at the Royal Academy in London, still grieving for her father but relishing her music and life in the city. Excited but nervous, she hums on the way to an important master class, and then suddenly finds herself missing both of her parents when the class ends in disaster. After the doctor's call, Iris is haunted by the promise she made to her husband--to find Rose's birth mother, so that their daughter might still have family if anything happened to Iris. Armed only with a twenty-year-old envelope, Iris impulsively begins a journey into the past that takes her to Boston and back, with unexpected results for herself and for Rose and for both friends and strangers. To ask other readers questions about Her Name Is Rose, please sign up. Iris Bowen lives in the west of Ireland, where it is still possible to submit to a soft-focus dream of a misty-green land of softly rolling hills and air scented with roses and blue sea. Iris has always lived an unassuming life, devoted to her husband and her adopted daughter, Rose. But her husband died two years ago, her daughter has moved to London, her newspaper gardening column has been axed, and a troubling shadow has appeared on her mammography x-ray. Only in her mid-forties, Iris must acc Iris Bowen lives in the west of Ireland, where it is still possible to submit to a soft-focus dream of a misty-green land of softly rolling hills and air scented with roses and blue sea. Iris has always lived an unassuming life, devoted to her husband and her adopted daughter, Rose. But her husband died two years ago, her daughter has moved to London, her newspaper gardening column has been axed, and a troubling shadow has appeared on her mammography x-ray. Only in her mid-forties, Iris must accept that her life is no longer quite the gentle walk on a clear path she’d counted on. Impulsively, using a possibly frightening diagnosis as impetus, Iris bolts to Boston to find her daughter’s birth mother. She fears leaving Rose alone in the world and envisions an open-armed reunion with a woman she met briefly twenty years ago. Iris’s search and those whom she meets along the way are the bridge between her old life of certitude and this new life of possibility. Also breaking into the world like a chick from an egg is Rose. A talented violinist, she’s earned a coveted place at London’s Royal Academy of Music. Whether or not she has the skill and backbone to withstand the demands of RAM becomes the story’s subplot. The brilliant descriptions of the music we “hear” in the book—Rose’s classical pieces, the traditional Irish fiddle playing by the luthier who crafted Rose’s violin, and the jazz riffs offered up by Hector, a Boston pianist—are some of my favorite passages. Her Name is Rose is the awakening of two women to the demands and possibilities of life on their own, one in the golden afternoon of middle-age, the other in the bright dawn of youth. It is a novel to sink into, like a ray of sunshine on an April day when the warmth of summer is a gentle tease, a reminder that deep pleasure can be found in quiet stories of family and the first bursts of new love. Christine Breen writes with compassion and a lovely, easy lyricism. Comparisons to Ireland’s beloved Maeve Binchy are warmly, enthusiastically offered. It’s heartening to know that the world still has room for smart, touching fiction whose characters make us want to live more authentic lives. Her Name Is Rose is about Iris Bowen, a recently widowed gardener and blogger, adoptive mother of Rose who lives in Ireland. Iris receives some potentially alarming news about her health, so in order to fulfill a promise she made to her husband, Luke, on his deathbed, she begins to search for Rose's birth mother. In the end, everything comes together for Iris and Rose. This novel has potential, but at times it was uneven and some of the events are just not believable. However, it was an enjoyable read! I am not sure why a publisher wants to saddle a debut novel with the unrealistic comparison to Maeve Binchey. It's not true and it leaves the reader with unfilled expectations and a slight disappointment. It's too bad because this was a nice novel that could have stood on its own without the hype. I enjoyed the book but felt deflated because it didn't live up to its promise. The story centers around a couple in Ennis, Ireland, who adopted a girl who is great at fiddle playing. The father dies o I am not sure why a publisher wants to saddle a debut novel with the unrealistic comparison to Maeve Binchey. It's not true and it leaves the reader with unfilled expectations and a slight disappointment. It's too bad because this was a nice novel that could have stood on its own without the hype. I enjoyed the book but felt deflated because it didn't live up to its promise. The story centers around a couple in Ennis, Ireland, who adopted a girl who is great at fiddle playing. The father dies of cancer and the mother re-examines what it takes to be a mother and how to develop a new relationship with an adult child. These are challenging times. The mother gets a notice that she must take another test when her mammogram shows a slight "distortion" and it sends her over the top. I can not imagine reacting the way she does including taking a trip to Boston. I call this kind of book a "full circle" book. It has a sad sweet start...lots of issues, lots more sadnesses, bits of happinesses and it circles back around to a satisfying ending. Perhaps not the ending that any of us might want but still an ending that brings peace and resolution. So without saying too much...this book is filled with the sweetest and sometimes saddest surprises...it's a book of arrivals as well as departures. Rose is adopted by Iris and Luke. Many years later Iris feels compelled to find Rose's birth mother. This takes her from Dublin to Boston and holds many more surprises...none of which I want to share. It's not that there are so many incredible mysteries within this gentle book...it's just that they are best revealed as you wrap yourself around and into this book. I loved Iris...the new blogger, the gardener, the brave brave Iris. What she will do for Rose is what a mother will do for a beloved daughter. Her journey...not journey in the sense of a spiritual path...but her real actual get on a plane not tell anyone where you are going journey...was lovely...sad...scary...but still essentially lovely! I truly loved the characters, their situations and their actions. Final thoughts...and...would this be a good choice for you...potential reader? Readers who love warm books, intriguing characters, and interesting situations...should really enjoy this beautifully written book. Iris Bowen is a widow, two years in time and forever in her heart. She mourns the loss of her husband Luke every day, losing herself only in her gardening and her daughter Rose. Iris struggles with her promise to Luke that she'd locate Rose's birth mother, while worries for her future health and Rose's happiness. . Rose is struggling with her own grief and the pressure of training as a classical violinist. This book chronicles a personal journey that will test both women's strength and trust. Al Iris Bowen is a widow, two years in time and forever in her heart. She mourns the loss of her husband Luke every day, losing herself only in her gardening and her daughter Rose. Iris struggles with her promise to Luke that she'd locate Rose's birth mother, while worries for her future health and Rose's happiness. . Rose is struggling with her own grief and the pressure of training as a classical violinist. This book chronicles a personal journey that will test both women's strength and trust. Along the way there are visits to Boston, New York and London bringing new and interesting characters into their orbit. A pretty tale of the complexities of the various relationships surrounding the people impacted by adoption with the additional of lovely bits about flowers. Some plot elements are a bit of a stretch at times with coincidental meetings and the ability and willingness of the characters to buy last minute international airfares and set off for unknown places at the drop of the hat. These elements, however, are forgivable as they allow the story to read like the modern fairy tales we find within Hol A pretty tale of the complexities of the various relationships surrounding the people impacted by adoption with the additional of lovely bits about flowers. I received this book from goodreads for review. This is a very sad book in a lot of ways. My mom was adopted and she always wanted to find her birth parents just to know something about them. she loved my grandmother and didn't want to hurt her feelings, so she waited till she was in her 40's to search. She was not able to find anything because of the privacy laws, but she always talks about what she might have found. I really liked this book, and I will be giving it to my mom to read. Her Name Is Rose is a story of connectedness. Its beginnings, endings, reasons, and justifications. Iris Bowen is a woman who should be enjoying the settled life of a married empty-nester. Instead she finds herself grieving the loss of a husband, suddenly sacked from her job, and facing the "what if's" of what her doctor has referred to as an "architectural distortion" in one of her breasts. 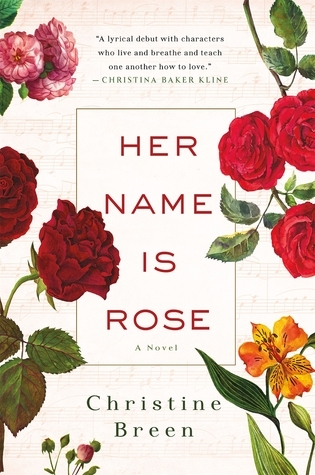 With the possible diagnosis of a malignancy looming on the horizon of her immediate future, Iris is reminde Her Name Is Rose is a story of connectedness. Its beginnings, endings, reasons, and justifications. With the possible diagnosis of a malignancy looming on the horizon of her immediate future, Iris is reminded of a promise made to her late husband. A promise that will clear long forgotten paths to people and places from her adopted daughter's past, while forging new inroads to people, places, and truths, meant to change everyone's futures. The story told in this touching and vibrant tale, is not so much the story of Rose, as it is the who's why's and where's of her past and how they relate to those of her present and future. One must take care when endeavoring to embark on this tale's journey. For while the story's plot is quite direct, its piece by piece execution can be very disconcerting, to say the least. Rose's tale, as told through her adoptive mother, Iris, Rose, as a young adult, and Rowan, her birth father; is a story told in brilliant snippets of sight, sound, and interaction. Each meeting, parting, conversation, and discovery is imbued with an undercurrent of emotion. Iris' search for Rose's birth mother provides a bit of a mystery that proves quite interesting for the reader. Her travels also open doors for her on more personal and unexpected levels. Rose's part in the story seems to work more on an abstract level. A reason for happenings than her actual role. She really plays no significant part in the story, other than to provide the heartwarming bow that ties things together at story's end. The real star of this story has to be Rose's birth father Rowan. Here is a man groping his way through life, regretting his past, and dreading his future. Until he learns of Rose. Until he learns to hope. I enjoyed this book! I don't think I expected it to be a contemporary book when I requested it, but I was pleasantly surprised. The story centers mainly around two people, Iris and Rose, who are mother and daughter. Though it is told in 4 perspectives throughout the book. Iris and Rose both do a portion of the story telling and we find out about the losses they have had in their lives and that neither of them is really in a particularly happy place at the moment. As Iris sets out on her own quest to find Rose's birth mother, we meet two more characters, Hector and Rowan, who eventually join in the story telling. Rowen's perspective and overall part of the story was my favorite and the part that I thought really took the book to the next level. The characters were solid, though slightly underdeveloped. Given just a little more length to the book I think they could have developed into some really interesting characters that stick with you. As it was, I wasn't necessarily grabbed by any of the characters, but I did feel for them and look forward to finding out how everything came together in the end. It's a lovely story about figuring out your life and about chance and consequences and especially about family. Life is short, so enjoy it, basically! This is a debut novel for Christine Breen and based on the novel, I predict more great books from her in the future. She's not Maeve Binchy yet (as advertised) but has the potential to get to that level. Iris is a gardner and blogger in Ireland and has been a widow since her husband Luke died several years earlier from cancer. Their adopted daughter Rose is 29 and studying at a prestigious music institute in London. As the novel begins, Iris receives a bad report on a mammogram and and because sh This is a debut novel for Christine Breen and based on the novel, I predict more great books from her in the future. She's not Maeve Binchy yet (as advertised) but has the potential to get to that level. Iris is a gardner and blogger in Ireland and has been a widow since her husband Luke died several years earlier from cancer. Their adopted daughter Rose is 29 and studying at a prestigious music institute in London. As the novel begins, Iris receives a bad report on a mammogram and and because she is worried about a possible cancer diagnosis, she decides to try to find Rose's birth mother as Luke had requested on his deathbed. Her search takes her to Boston where she meets several interesting people. Rose, in London, is faced with many problems and decides to go home, unaware of her mother's search for her birth mother. This is a novel about family and motherhood and adoption. Iris really sums up her feelings about her life "Rose is my life work. I can't leave unfinished." It's also about starting to live again after a spouse dies. I thought that the author handled these issues very well and I definitely enjoyed this book and the main characters. I would love to read a sequel to this story. With the background of Ireland, the story of Iris, a gardener and mother, and her daughter, Rose, will warm your heart. Without giving away the whole story, Iris is worried about her health, and since her husband died 2 years earlier, she worries about Rose and a promise she made to her husband. I really liked this one. Iris is an Irish woman with an adopted daughter Rose. Her husband passed away a couple of years before and now Iris has had a breast cancer scare. She is very worried that if something happens to her that her daughter, Rose, will be left without any family. Iris had promised her husband that she would try to find Rose's birth mother, whose name was Hilary, so that there would be someone for Rose. Iris begins her search and discovers that she has to make a trip to Boston in the US to find Hilary. T Iris is an Irish woman with an adopted daughter Rose. Her husband passed away a couple of years before and now Iris has had a breast cancer scare. She is very worried that if something happens to her that her daughter, Rose, will be left without any family. I was asked to read this as an advance copy. This book lacks cohesiveness. This book is written not just from the viewpoint of the mother and daughter as portrayed in the blurb about the book, but also contains three other viewpoints. I felt it was too much and that it wasn't pulled together well. The transitions from chapter to chapter are not very well done and in one case, you're left with a cliffhanger and then the author doesn't even touch on it until the middle of the next chapter written I was asked to read this as an advance copy. This book lacks cohesiveness. This book is written not just from the viewpoint of the mother and daughter as portrayed in the blurb about the book, but also contains three other viewpoints. I felt it was too much and that it wasn't pulled together well. The transitions from chapter to chapter are not very well done and in one case, you're left with a cliffhanger and then the author doesn't even touch on it until the middle of the next chapter written from that viewpoint (and the chapter could have come earlier. By the time the author got there, I had forgotten about it). In fact, the book would be much better if it were just told from the mother/daughter point of view. I felt that the young girl's music was portrayed fairly well, but she is portrayed as a genius who can play anything (despite having started late). While this isn't impossible, it is somewhat unlikely. Still, the daughter is better depicted than the mother. The character of the mother is not one that I related to (despite being an older woman). She is quite passive. She loses her job and yet agrees to work for no pay for the same people (they suggest she do a blog for them)? She might have breast cancer, but won't see the doctor (well, I can somewhat understand procrastinating, but it doesn't make sense with this character in this situation). And yet, she can take off to go looking for her daughter's birth parents. The last just doesn't make sense and doesn't fit with the rest of her passivity. Also, as a gardener and blog reader (I love gardening blogs), I felt that the gardening and blog portions were not very well done. I probably would not have wanted to read the mother's blog. The gardening blog didn't seem very hands on or helpful and the subjects picked for the blog were things that most gardeners already know or wouldn't care about. For someone who has been a journalist, the mother doesn't seem to write well or cohesively or have a real understanding of what people would want to read about. The flower characterization is good, but why not write more of those then? The author is supposed to be a gardener. Does she not understand what someone would want to read about with regards to gardening? This review has been hidden because it contains spoilers. To view it, click here. Received an advance copy on NetGalley.com in exchange for an honest review. While the premise of Her Name Is Rose could have been interesting in theory (I do love a good novel about classical musicians and Ireland) the execution of the novel was poor. Most of the first half was inadequately connected; a prologue that connected Rowan and Iris, or Rowan and Hilary, or Rowan and Rose, would have made the choppy transitions between an attempted multi-viewpoint more understandable. The gimmicky plot p Received an advance copy on NetGalley.com in exchange for an honest review. While the premise of Her Name Is Rose could have been interesting in theory (I do love a good novel about classical musicians and Ireland) the execution of the novel was poor. Most of the first half was inadequately connected; a prologue that connected Rowan and Iris, or Rowan and Hilary, or Rowan and Rose, would have made the choppy transitions between an attempted multi-viewpoint more understandable. The gimmicky plot points, including but not limited to the forced love interest with Iris, the refusal to go to the doctor, the drop-everything-and-leave-for-Boston trip, and especially whatever was going on with Rose and her violin was unnecessary and, for the most part, read as a bunch of ideas that were not fully fleshed out and instead slapped together to get to a full length novel. Even Rose's violin playing seemed secondary; most of the things that happened in the novel ended up leading to, well, something that I cannot put my finger on...I am left with the overwhelming question, "so what?" for most, if not all, the plot lines. In addition, the book blurb about Iris formerly being a "beautiful Irish girl with wild hair-but that has passed!" was never addressed. I'd propose an edit on the back copy to more faithfully reflect what the novel is actually about. The plot sounded really interesting. Luke and Iris Bowen adopted a baby girl they named Rose. Now Rose is off to college and Iris is a widow. On his deathbed Luke made Iris promise to find Rose’s birthmother in case something happened to Iris. Luke and Iris both were only children and their parents had already died. Luke did not want Rose to be left alone in the world. However, Iris is very reluctant to follow through on her promise. Rose is dealing with her own grief and has a lot of pressure o The plot sounded really interesting. Luke and Iris Bowen adopted a baby girl they named Rose. Now Rose is off to college and Iris is a widow. On his deathbed Luke made Iris promise to find Rose’s birthmother in case something happened to Iris. Luke and Iris both were only children and their parents had already died. Luke did not want Rose to be left alone in the world. However, Iris is very reluctant to follow through on her promise. Rose is dealing with her own grief and has a lot of pressure on her as she trains to be a classical violinist. Portions of the story are written beautifully while other portions drag and just do not flow well. The strands just were not there to connect the stories. Some of the story did not hold true to me. Much of the story revolving around Rose and her violin were hard to grasp. However, Iris’ feelings regarding her scare with breast cancer seemed very realistic. She was so afraid of leaving Rose. It is a book that left me with many questions due to plot lines not being completed. 2.8 stars. Not sure I would recommend it. I always feel bad when I don't love an Advanced Readers Copy of a book. I read this in a day and honestly skimmed through parts of it as I was trying to get to the heart of the story. I was half way through the book before another main character and his backstory was introduced. The 2 love story's felt forced and the story wrapped up in a neat bow which was nice but added to the lack of depth to the story. An interesting tale about the far reaching impacts of adoption. It was a good light read and should appeal to readers of women’s fiction or romance novels. Thank you to St. Martin’s Press and NetGalley for an advanced copy of this book. Look no further for a Mother’s Day or graduation gift, or a special treat for yourself. There’s a space in Irish women’s fiction right between wise Maeve Binchy and touch-of-magic Cecilia Ahern—and Christine Breen, with her wisdom, humor, and sheer good-heartedness, fits in it beautifully. Her Name Is Rose is an exploration of love in many forms. Twenty years ago, Iris and her husband Luke adopted Rose. They had a wonderful life in Ireland together as a family for eighteen years. Then Luke died. Look no further for a Mother’s Day or graduation gift, or a special treat for yourself. There’s a space in Irish women’s fiction right between wise Maeve Binchy and touch-of-magic Cecilia Ahern—and Christine Breen, with her wisdom, humor, and sheer good-heartedness, fits in it beautifully. Her Name Is Rose is an exploration of love in many forms. Twenty years ago, Iris and her husband Luke adopted Rose. They had a wonderful life in Ireland together as a family for eighteen years. Then Luke died. It’s two years later, and Rose has gone to London, accepted into prestigious Royal Academy of Music. Iris found some solace in gardening and blogging, but she’s naturally still grieving and she’s just been laid off her column at the local newspaper—and she’s just received troubling news after a mammography. How awful can life be? Rose could be left alone, both adoptive parents dead of cancer. Iris decides she must keep her promise to Luke to find Rose’s birth mother, just in case. But the system is set up for the “natural” offspring and parents to find each other, not for adoptive parents. It’s refreshing to read about the insecurities of the adoptive parent rather than the child, for once. But Rose gets her fair share of page time. She’s been raised with love and affection and is not full of angst; finding her birth parents is the farthest thing from her mind. She’s a young woman finding her talents—and possibly, romance. Somehow, Iris finds herself in Boston, looking for Rose’s birth mother, before she even has her follow-up breast exam or diagnosis. Rose has a crisis and heads home to an empty house. Adventure, love, and mad coincidences ensue. This is my favorite kind of women’s fiction; everyday characters, ordinary problems, extraordinary situations looked at through lenses of love and kindness. The kind that leaves me with hope for the human condition and the world at large. Yes, it all works out in the end, and the journey itself is all pleasure. Nice to have two female perspectives, of differing ages (Iris and Rose), and there’s a male perspective, too. Highly recommended for fans of Binchy, Moyes, Mansell, etc. Also for those with an interest in love stories, music themes—Rose is not the only musician in the story—and gardening. Miss Em is very much looking forward to more from this author! In a cottage in the west of Ireland, Iris--gardener and mother to an adopted daughter, Rose--is doing her best to carry on after the death of her husband two years before. At the back of her mind is a promise she never intended to keep, until t People used to say Iris Bowen was beautiful, what with the wild weave of her red hair, the high cheekbones, and the way she carried herself like a barefoot dancer through the streets of Ranelagh on the outskirts of Dublin city. But that was a lifetime ago. 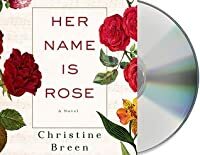 Intimate, moving, and witty, Christine Breen's Her Name is Rose is a gorgeous novel about what can happen when life does not play out the way you expect. At first, I struggled just a little to connect with what struck me as Iris’ overreaction to the news that she might have breast cancer. Maybe because I’ve had that news myself and didn’t react in quite the same way, maybe it’s because most over-40 women I know have had at least one call-back following a mammo and it’s almost always fine. In any case, Iris’ extreme measures following this news struck me as over the top. However, this was easily forgiven–or maybe I should say, better understood–as everything else about the story swallowed me whole. I liked its easy pacing, found the setting charming, the characters appealing, and I was quite willing to follow them wherever their paths should lead. I liked the way the story kept opening up–yes, like a blossoming rose–taking new and unexpected turns with each unfurling petal. As I was reading, I had the idea to question whether this was one of those novels in which the author herself did not know all of its twists and turns, and how it would turn out…until it did. As a reader, I relished these surprises–the new characters, fresh angles, the happy wondering of how it would all fit together. And when it finally did–like all of the rest of Her Name Is Rose, I found its conclusion surprisingly, satisfying sweet. Rose Rosie Bowen (19, daughter, violinist, nee Barrett), attends the Royal Academy in London, England. Her adopted father Luke Bowen (solicitor) passed away 2 yrs. ago, & she at times thinks of him. Iris Bowen (step-mom) Iris Bowen (step-mom) tends her flower garden to pass the time. Iris promises her husband she will help Rose find her biological mother. There are several leads but nothing concrete. Iris has gotten news she has breast cancer. She doesn’t’ show up for her ultrasound & bi Rose Rosie Bowen (19, daughter, violinist, nee Barrett), attends the Royal Academy in London, England. Her adopted father Luke Bowen (solicitor) passed away 2 yrs. ago, & she at times thinks of him. Iris has gotten news she has breast cancer. She doesn’t’ show up for her ultrasound & biopsy. Guinness my 2nd favorite beer. Will Rose ever find her biological parents? Will Rose continue her violin career? A very awesome book cover, great font & writing style. Wow, a very well written generational Irish family book. It was very easy for me to read/follow from start/finish & never a dull moment. There were no grammar/typo errors, nor any repetitive or out of line sequence sentences. Lots of exciting scenarios, with several twists/turns & a great set of unique characters to keep track of. This could also make great Irish family movie, or mini TV series. The suspense never ends. A story that will touch your heart. There is no doubt in my mind this is a very easy rating of 5 stars. This slow-moving debut novel tells the story of the titular Rose, the adopted daughter of Iris and Luke. Since Luke’s death two years earlier, Iris has been putting off he promise to Luke to locate Rose’s birth mother to give Rose more family support. This search takes Iris all the way from western Ireland to Boston. But the storyline isn’t limited to just Iris’ perspective - though at times this shifting perspective is a bit too unexpected and takes some time to connect back to the larger story This slow-moving debut novel tells the story of the titular Rose, the adopted daughter of Iris and Luke. Since Luke’s death two years earlier, Iris has been putting off he promise to Luke to locate Rose’s birth mother to give Rose more family support. This search takes Iris all the way from western Ireland to Boston. But the storyline isn’t limited to just Iris’ perspective - though at times this shifting perspective is a bit too unexpected and takes some time to connect back to the larger storyline. It is an interesting enough premise, but the sheer amount of grief - it seems every character is grieving for someone - makes this book drag because of all the negative emotions. It takes a long time for something even remotely hopeful or uplifting to happen, which makes this a far from pleasurable read. Her Name is Rose is Christine's debut novel. Born and raised in New York and educated in Boston and Dublin, she now lives in the west of Ireland. In addition to being a writer, Christine is an artist, homeopath and garden designer. Along with her husband, the novelist Niall Williams, she co-authored four bestselling non-fiction books on country living in County Clare, which were published by Soho P Her Name is Rose is Christine's debut novel. Born and raised in New York and educated in Boston and Dublin, she now lives in the west of Ireland. In addition to being a writer, Christine is an artist, homeopath and garden designer. Along with her husband, the novelist Niall Williams, she co-authored four bestselling non-fiction books on country living in County Clare, which were published by Soho Press in New York. O COME YE BACK TO IRELAND is now available as an ebook.